Konvertor has many of the properties that people miss from the Window Explorer, the possibility to preview the vast majority of file types (not only images) or the possibility to view a lot more information from the first moment. Nevertheless, as it's name indicates, Konvertor is focused towards the conversion of images between 1000 different formats, being at the same time a perfect viewer for any multimedia format and providing utilities and tools that people that handle many images will really appreciate. 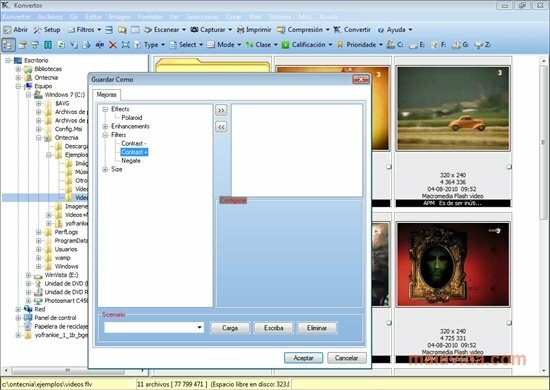 These tools range from applications that allow us to scan documents to others that offer us the possibility to apply small enhancements to the photos. Work with your files in a much more efficient manner. Konvertor includes 250 different filters, the possibility to create HTML pages with the recompilations of our choice, albums in PDF, geolocate photographs, include watermarks or view the photographs as a presentation. What's more, it is compatible with the ZIP format, thus being able to easily compress and decompress files. 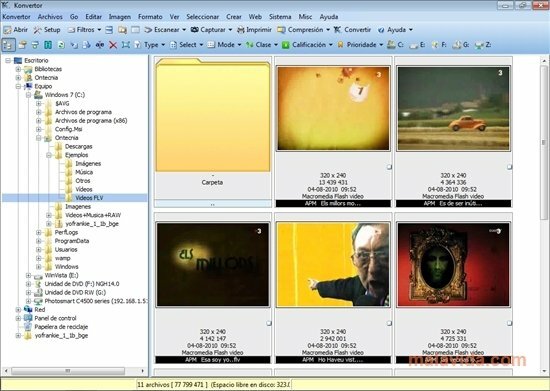 This files manager is very useful and since it is completely focused towards handling images and multimedia files, the truth is that the tools that it includes are really interesting.